It still hasn't fully sunk in yet that I live just a few miles away from the beach- it's so crazy because when I lived in PA I had to drive over three hours to see the ocean! 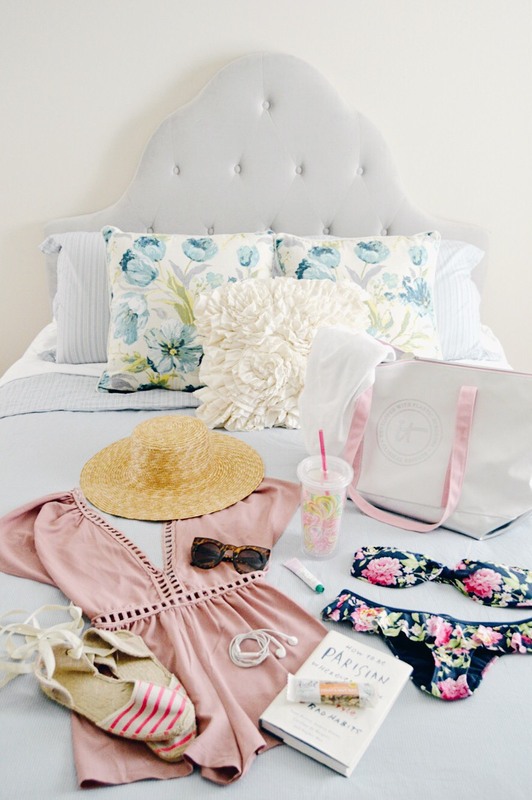 With lots and lots of trips to the beach lately, I have become an expert at what it is I really need to pack in my beach bag... so I thought I would share the details with you all! Two: A sun hat such as this one, this one or this one. Three: Huge sunnies. This pair I have pictured is from Romwe and they are super affordable!! Four: Cute beach shoes. Espadrilles from Soludos are my go-to for the beach. Five: Earbuds and a book for entertainment. Seven: Lip balm and sunscreen are a must! I am obsessed with Glossier's The Balm Dotcom right now. Eight: Beach towel. I have a round one like this one and love it for laying out. 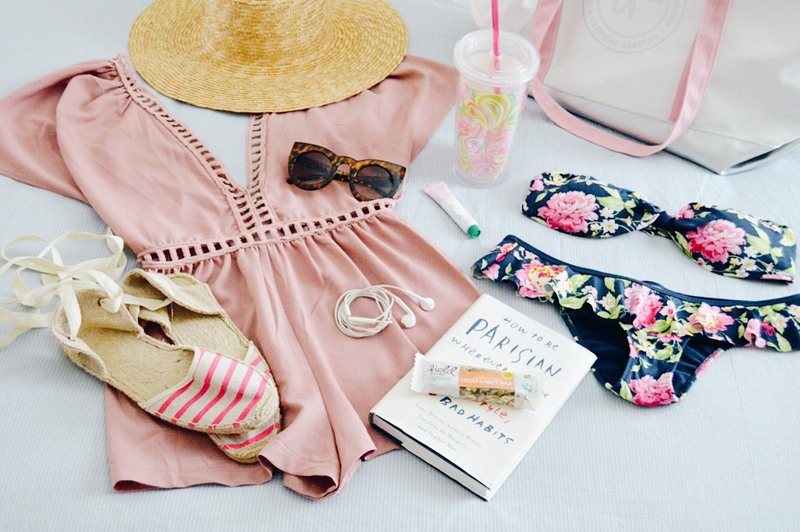 The romper is amazing. I always have a book in my beach bag.